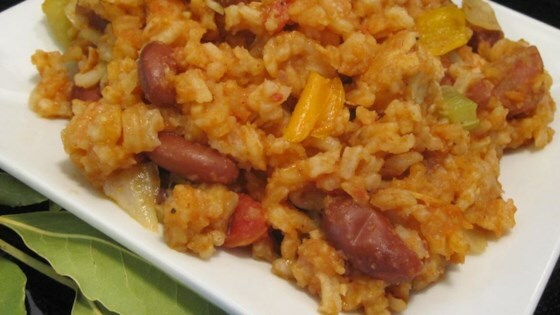 A simple jambalaya with chicken and kielbasa and a kick that won’t overpower. Easy, good and inexpensive to make. I used to live in New Orleans, and actually prefer this recipe to the jamba's I had down there. my husband & i really enjoy this dish. i add extra chicken & sausage. i use lean turkey sausage so it's a little healthier. i also add shrimp.